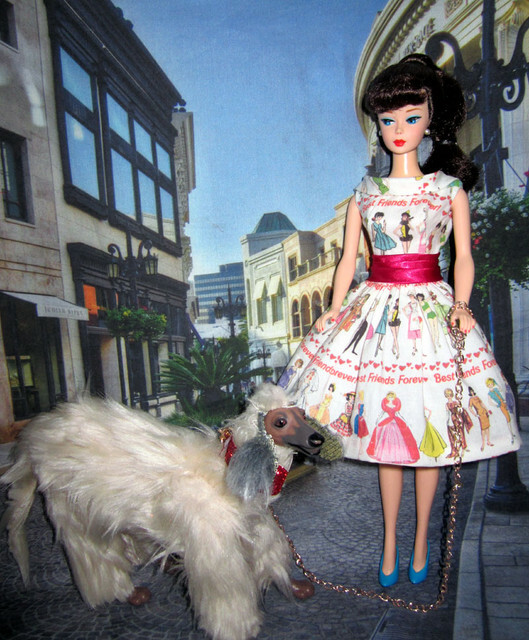 Barbie looks like a great pack leader. Beauty is not very energetic, a long walk makes her tired. 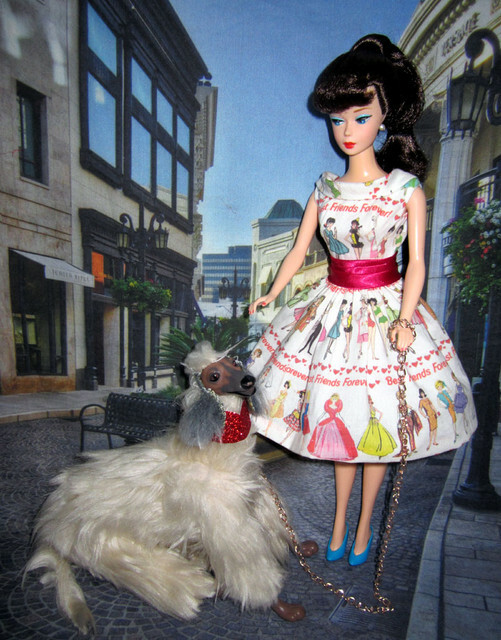 This little Poodle is a stowaway, she followed Beauty home, of course, Barbie welcomed her with open arms. 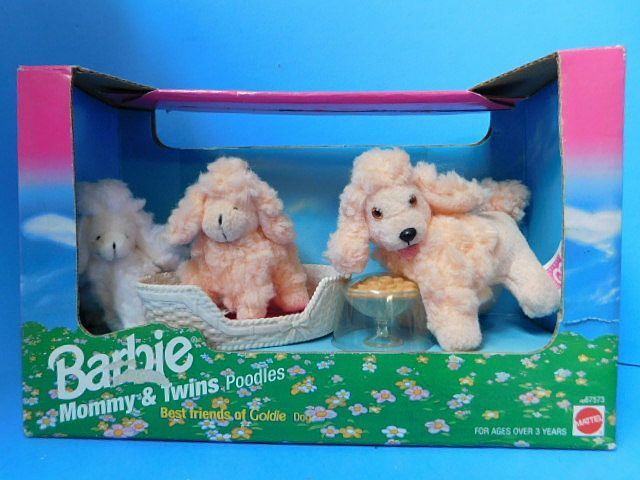 I think she was a part of the “Mommy & Twins poodles” Package (released in 1996). This entry was posted on August 15, 2018 at 2:51 am	and is filed under Dolly Daily. You can follow any responses to this entry through the RSS 2.0 feed. Both comments and pings are currently closed.